Research shows that students who feel a connection to their new school and other students during orientation are more likely to persist and graduate. 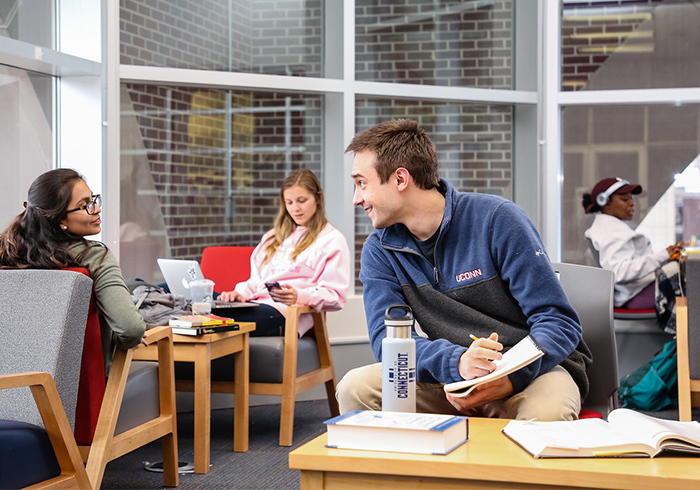 With a national first-year retention rate of only 61%, colleges and universities can utilize orientation to help students develop that sense of fitting in and connection, which can lead to improved retention. 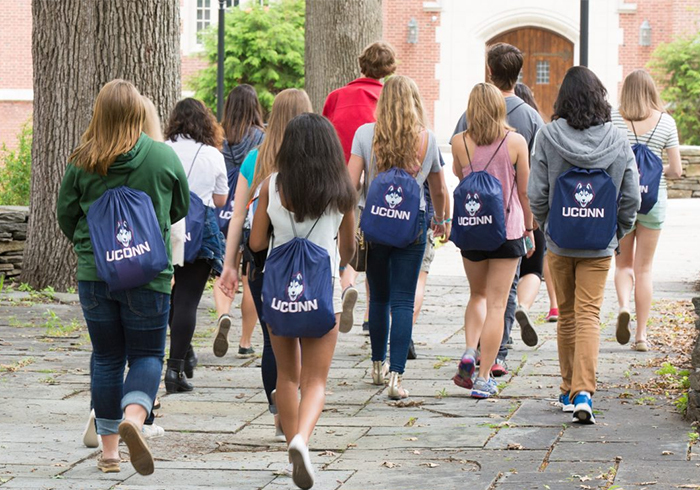 We begin our Back-to-College series by examining orientation, why it’s so important to student success and retention, and how the University of Connecticut’s orientation program helps connect students to the University, its campus resources and fellow students. Sixty-one percent of students who started college in the fall of 2015 returned for their sophomore year in 2016. 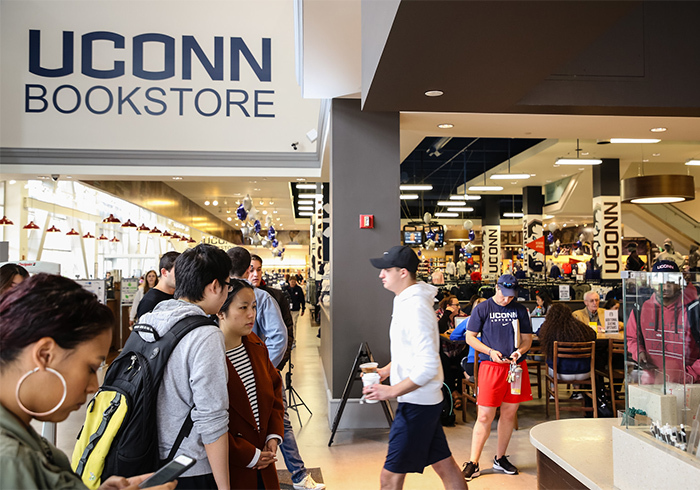 Students gather in the community space in the newly renovated UConn Bookstore.